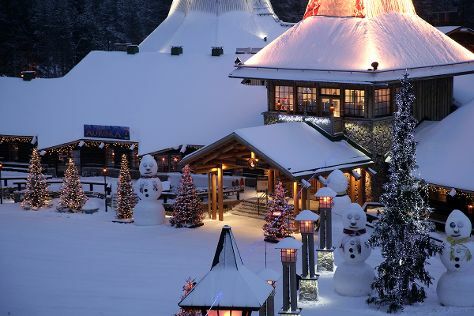 Kick off your visit on the 1st (Thu): experience the excitement of Feelapland, then see Santa Claus Office, and then get in on the family fun at Santa Claus Village. To find more things to do, photos, traveler tips, and more tourist information, go to the Rovaniemi trip planning site . New York City, USA to Rovaniemi is an approximately 16.5-hour flight. You can also do a combination of flight, taxi, and bus; or do a combination of train and flight. Traveling from New York City to Rovaniemi, you'll lose 7 hours due to the time zone difference. Prepare for cooler weather when traveling from New York City in August: high temperatures in Rovaniemi hover around 63°F and lows are around 49°F. Finish your sightseeing early on the 1st (Thu) to allow enough time to travel to Helsinki. Step out of the city life by going to Nuuksio National Park and Aurinkolahti Beach. Pack the 6th (Tue) with family-friendly diversions at Linnanmaki Amusement Park. Next up on the itinerary: brush up on your military savvy at Sea Fortress Suomenlinna, pause for some serene contemplation at Helsinki Cathedral, wander the streets of Katajanokka, and contemplate in the serene atmosphere at Rock Church. To see where to stay, reviews, maps, and other tourist information, read Helsinki trip itinerary maker tool . Traveling by flight from Rovaniemi to Helsinki takes 4 hours. Alternatively, you can do a combination of train and flight; or drive. Traveling from Rovaniemi in August, you will find days in Helsinki are somewhat warmer (69°F), and nights are about the same (53°F). Wrap up your sightseeing on the 6th (Tue) early enough to travel back home.